Relations between rural landholders and Anastasia Palaszczuk’s Government in Queensland, already heavily strained by the resurrection of stringent vegetation management controls in the State last year, have sunk to new lows over the introduction of reef protection laws that will further impact agricultural operations in one third of the State. A last minute decision this week not to proceed with a planned consultation process has further inflamed tensions. 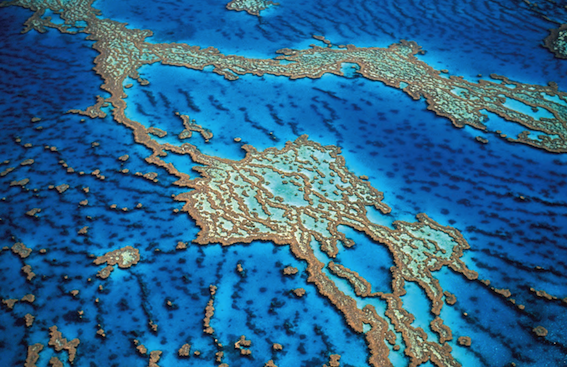 The Environmental Protection (Great Barrier Reef Protection Measures) and Other Legislation Amendment Bill 2019 was introduced to Queensland Parliament by the State’s Minister for the Environment and Great Barrier Reef Leeanne Enoch on February 27. Farming groups say the proposed legislation vilifies agriculture based on ‘shaky science and cherry-picked facts’. They believe it unjustifiably places all blame on agriculture for Great Barrier Reef water quality issues, and penalises farmers and graziers for management that is beyond their control due to last year’s changes by the Palaszczuk Government to the Vegetation Management Act 1999. But they were doubly incensed when they were told a consultation process to review the likely impact of the legislation, due to run from March 18 to 22, was cancelled earlier this week. The chair of the committee overseeing the review, Duncan Pegg, has stated the committee has granted a two-week extension so hearings can be undertaken in regional areas throughout the Reef’s catchment, however, there are no confirmed no details yet on if, when and where those hearings will occur. Reaction from AgForce Queensland left no doubt as to how strained tensions have now become between one of Queensland’s key export earning sectors and the State Government. AgForce described the lack of a consultation as a “sham public review” that demonstrated the Queensland Government’s contempt for the views of primary producers and an indication that its agenda has been hijacked by “urban-dwelling Greens”. “The sham public review – allowing just two weeks for written submissions after the surprise introduction of the bill into Parliament on 27 February – does not even include any consultation sessions in the affected regions as originally promised,” an AgForce statement said. AgForce CEO Michael Guerin said the “pretend consultation” showed the Government’s true colours – that they don’t think farmers are worth talking to despite the fact that the burden of this legislation will fall on them. “It also highlights the Government’s reluctance to expose the shaky science and cherry-picked facts on which they have based their legislation to public scrutiny,” Mr Guerin said. What will be the impacts of the new reef legislation on farmers and graziers according to AgForce? The group says the proposed regulations would saddle all cattle, sheep, grain, fruit and vegetable, and cane farmers in the six reef catchments – an area that covers about a third of the State and extends as far as 300 kilometres from the coast – with restrictive practices that will severely hamper their operations and involve onerous record-keeping and reporting. “It is absolutely criminal that the Government believes it can introduce these laws without even talking to the very people and communities that it will so badly effect,” Mr Guerin said. Mr Guerin said the “most frustrating thing” was that farmers had real-world information and advice that would lead to a more effective, practical and realistic solution to protect the reef at a lower-cost – but no-one wanted to listen. “The saddest irony is that farmers love the reef and want to do their part to preserve it, but are being prevented from doing so by hard-nosed environmentalists, whose impractical, ideologically motivated demands will actually do more harm than good,” he said. “In their current form, the proposed laws impose on farmers unnecessary, expensive red tape and regulation that won’t provide any benefit to water quality or the Reef’s long-term well-being. Mr Guerin said the fact that primary producers weren’t even aware of the proposed legislation until AgForce informed them indicated “very poor communication by the Government and a clear lack of consultation”. The Queensland Food Future group, a landholder advocacy group which was behind the widely shared ‘A True Story: From the heart of Queensland’ campaign during the State’s vegetation management debate last year, said farmers and graziers were again being vilified and face “ridiculous levels of regulatory burdens” under the new laws. “The Bill proposes legislation that squarely places a disproportionate blame for water quality and sediment run off on Queensland farmers and graziers in six Great Barrier Reef catchments,” Qld Food Future president Josie Angus said. Mrs Angus said the proposed legislation seeks to further burden already heavily regulated farmers and graziers with more satellite monitoring. She said it will assess all catchment farm land every September, the driest month of each year, with no allowance made for seasonal, climatic, natural disaster or weather events meaning assessment could be made off the back of floods causing erosion and result in a landowner receiving a failed score. The legislation now includes cattle grazing, horticulture and cultivation of crops in the category of an “Environmentally Relevant Activity” – a definition previously applied to regulate mining and factory practices. “This is being applied while the Queensland Government is letting the mining industry pump untreated water into rivers and undertaking further dumping of dredging materials onto the Reef. “It is basic common sense that farmers and graziers want to retain their soil and keep their land in pristine condition in order to operate successful and profitable businesses. “No farmer or grazier wilfully or recklessly lets profit allegedly wash away into the Reef and in fact land owners invest money continually to prevent erosion, eradicate weeds and improve ground cover and soils. She said the proposed legislation was largely based on modelling and limited outdated data. She said it also directly conflicted with changes to the Vegetation Management Act 1999 last year. During that time landholders argued that the proposed changes to that legislation, now passed, would lead to additional erosion and run off in the long term, leaving landowners with their hands tied. Under the new reef protection legislation farmers would now face penalties and restoration plans. “In 2018 we argued that elements of the changed vegetation management legislation were actually detrimental to the land that we manage, particularly with respect to erosion and run off to the Reef,” Mrs Angus said. “This Reef legislation directly conflicts with vegetation management legislation in that it also prescribes greater than 70 percent ground cover yet land owners cannot achieve this with some land types due to vegetation management restrictions and legislation and weather events such as drought beyond our control. “The 2018 changes resulted in an additional 1,700,000 hectares, including 405,000 hectares specifically along stream banks in the reef catchments, being locked up and taken out of our management. 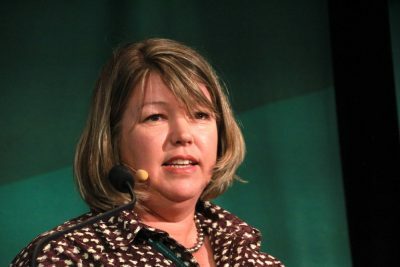 She said the issue provided further evidence that the production of food had become political in Queensland, with farmers being crippled with inoperative legislation to satisfy election commitments and party promises that did not even achieve desired outcomes, due to lack of industry consultation. “We do not want to be scapegoats and at the mercy of false propaganda and scaremongering campaigns simply for political parties to gain a few votes,” she said. 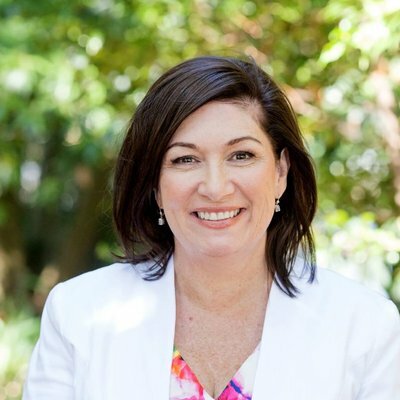 In introducing the new laws In February Queensland Minister for Environment and the Great Barrier Reef Leeanne Enoch said the new laws would further protect the Great Barrier Reef and “give our natural wonder the best chance of survival”. She said the Reef was facing two major threats: climate change and water quality. Ms Enoch said the new laws focus on reducing run-off from agriculture and direct sources of pollution from intensive land uses, such as sewage treatment plants, aquaculture and mining. It would be interesting to know how much nutrient and sediment runoff occurred during the recent flooding around Townsville. No restriction on urban development – funny that!!! This is yet another example of the Green Labor government not have any agricultural DNA. Queensland’s Green Labor does not care about farmers and will not until into the future. The increased rise of communism in Australia is hidden behind the veil of climate change politics .Rights of the individual over rights of the state are being destroyed. Land ownership and the right to grow food upon that land are being taken away. The Soviets experimentation with communism ended when the unsuspecting urban public went to the shops and there was little food there and what was there was so expensive it enforced rationing. Do Queenslanders really want to go down this path think carefully when at the ballot box. So-called “Public Consultation” by any Labor Government is just a way of making themselves look good. Any legislation put forward by a Labor Government has been prepared by one of their little committees and passed by their caucus. This is where the true law making is done as once these policies have been made and passed Parliament is just the rubber stamp for their implementation. Over the years this has proved to be the case with many subjects brought up for so-called “Public Consultation”. There are rabid environmentalists in the Labor Party who are pushing their agendas and boom! It does not matter how wacky, irrational or against the public interest their ideas are, they become law and nothing the public proposes will ever change their minds. Strangle the bush with vegetation laws and reef protection laws, close all the Ag colleges, shut maternity units. Is this a long term Labor strategy to reduce the generally anti-Labor rural vote and voice? Any consultation or public review is just a waste of people’s time. The Qld Labor government has already made it’s mind up and will not change anything no matter what anyone says. Why would it change things for people who do not vote for them that also happen to make their government look good for the people that do vote for them. These laws for all catchments were on the cards about fifteen months ago. They were tried in the Burdekin catchment back around 2012 and the government found massive non-compliance. There will be massive non-compliance again. Then the government will change and the laws will be changed or removed. Then the government will change and once again the laws will be changed. Around and around we go. Thanks to urban people. In saying that, you can see some really stupid landholders out there making their own man made drought, bulldozing creeks creating massive erosion problems and other things as they are numbers people only interested in making money at any cost.